A lot of people think that surround sound is only available to large multi-channel systems but due to innovation, it has now been applied to headphones. Companies such as Yamaha, SRS Labs and Dolby Labs now have incorporated the surround sound technology into their headphones line up. When you normally listen to the audio from either music or movies using headphones, it seems like the sounds are all coming from your head which doesn’t naturally happen. Headphones such as SRS/DTS CS Headphones, Dolby Headphone, Yamaha Silent Cinema, DTS Headphone X and Smyth Research have all used technologies that can provide an enveloping sound for the listener and ensures that the audio field only revolves in the front and side space of the head. This innovation surely makes you seem like you’re listening to a normal speaker-based surround sound system. The great thing about the technologies mentioned above is that they can work with any kind of headphones. All of the required surround sound processing is built into the Preamp, Home Theater Receiver or Surround Sound Processor in which you will plug in your headphones to. You can also use these technologies with your wireless headphones. 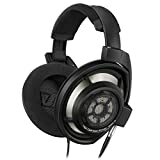 Even though the headphones mentioned above can work with previous systems, they are all still dependent on the receiver or amplifier that has the headphone surround sound technology built inside of it. This means that you have to check out your home theater receiver to see if it features any of the headphones that are mentioned above. But then there are still some surround sound headphones which you can still use from any receiver or amplifier just like the Ultrasone S-Logic Headphones. The great thing about the Ultrasone is that it is an innovative yet a simple approach to using headphones for listening to either DVD/Blu-ray soundtrack or music CD material and you don’t have to feel obliged in adding additional equipment apart from the headphones. This effect is made widely available to any receiver or amplifier that provides a headphone connection. In short, there are basically two practical ways which you can access the surround sound feature in a listening environment such as the headphones. 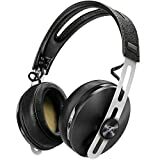 The first one is to use the digital sound processing or the DPS technology which can be used in any kind of headphone. The other one will be to have a special kind of headphones that has the capability to produce a surround sound listening environment for any receiver or amplifier that is built with a headphone connection. It doesn’t matter if the receiver or amplifier is equipped with the dedicated DSP technology for the surround sound headphone listening.